Southern charm abounds in this beautiful home with a rocking chair front porch and formal living and dining room areas. Bedrooms include a spacious master suite with walk-in-closet and access to the sunny all-season sitting room and two other nicely sized bedrooms making this the perfect family home. The combined family room, kitchen and charming light-filled breakfast nook features a natural gas fireplace and gas stove top. Hardwood floors and 10 ft. ceilings with crown molding throughout entire home along with large walk-up attic perfect for additional storage. 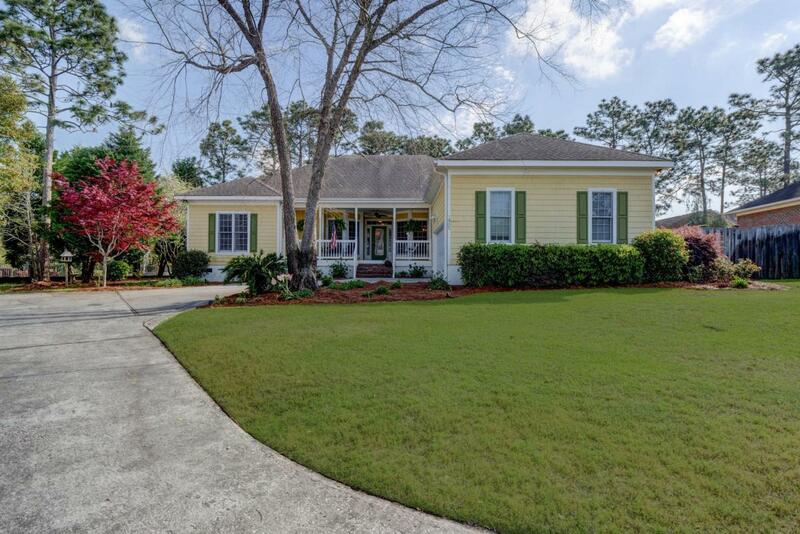 Outside this home is just as desirable with a fully fenced-in backyard, blooming azaleas, well water irrigation and an over-sized two car side entry garage. Centrally located in the Hoggard school district and within walkingdistance to Holly Tree Elementary. Come make this home yours! Listing provided courtesy of Tommy E Richardson of Intracoastal Realty Corp.